I went to the latest Smurfs film The Lost Village primarily for the entertainment for my three-year-old daughter. But came out feeling as though I’d seen the world changing before my very eyes. Some big questions are addressed in the film. What happens as patriarchy gives way to something new? And as our definition of ‘being’ expands to include hybrid and artificial entities? As gender codes fragment before us and as our understanding of nature and consciousness evolves? I was amazed at how far the smurfs take us into these issues in The Lost Village. The film revolves around the Smurfette, who represents a storyline recycled from the late 19th century misogyny of thinkers like Schopenhauer and Nietsche. She is a golem or cyborg, depending on which century you wish to borrow your language from – an artificial creation of evil wizard Gargamel. Her purpose is to lure the Smurfs away from the path of ‘bros not hos’ and throw them into disarray. Schopenhauer could have thought up the Smurfette. He considered women to be tricks of Nature, attractive simulacra designed to lure men away from higher pursuits. They are creatures of artifice and dissimulation, not of truth. The Smurfette is just such a lie. She’s a fake smurf, puppet of an alien agenda. It’s a tough problem for the Smurfs narratively and commercially. What do they do with this storyline in a social context rapidly moving into a new post-patriarchal configuration? The Lost Village tackles the issue in a brave and radical way. It doesn’t shy away from the miserable sexism surrounding the creation of the Smurfette. It doesn’t just give her some sassy lines and martial-arts moves, or a liberal-feminist storyline in which she finds herself and rewrites the script, contemporary Disney-style. Instead it goes right to the heart of the matter. At her lowest point in the film, the Smurfette is confronted with her fakeness – with the fact that the she’ll never be a real Smurf and will always be excluded, suspect and problematic. She decides to embrace her fakeness and to journey right into the heart of the misery associated with it. Her choice is to sacrifice herself to save the Smurfs – to absorb Gargamel’s evil into her body to drain his power. The outcome for her is that she regresses back into her own abject origins. She goes back to being a lumpen piece of clay, inert and gross. The power of her sacrifice generates such a tidal wave of love amongst the Smurfs (whose community has now widened to include a whole village of female Smurfs) that she is physically resurrected and given the gift of full being. Her new being is not just a full passport to Smurfdom and ‘equal rights’. It’s expressed as a boundless freedom and potential. She can be whatever she likes – she can evolve. She leaps from suspect ontological hybridity (a weird mix of legitimate Smurfiness and suspect fakeness) to the fullest expression of being the Smurfs can imagine and give. I’d like to end by summing up what makes this story such a leap forward in the narration of social change – and why cultural expressions of every kind should take note of what is going on here. First, this is a feminist story – but it’s not a liberal-feminist story. In other words, it’s not about an individual finding empowerment and making her own way. Instead, it’s about the community giving the gift of full being and full freedom to be, as a sacred act of love in response to a sacred act of sacrifice. 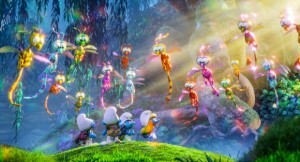 Second, the film addresses the theme of the cyborg through the Smurfette who is herself an artificial entity. The storyline gives full being to cyborgs, opening the portals of what we define as ‘being’ to include unlimited capacity to evolve. No one group – whether it’s humans, men, white people or any other – can claim fuller ownership of being and consciousness over any other. Third, the film reveals that social change on this deepest of levels releases a tremendous amount of creative energy. Feminism, or diversity in general, is breaking out of the idea of ‘representation’. It’s no longer about how things look – for example, having an extra black person or woman on the cast. Instead, It’s about freeing the creative energy that’s been suppressed through injustice and power monopolies. 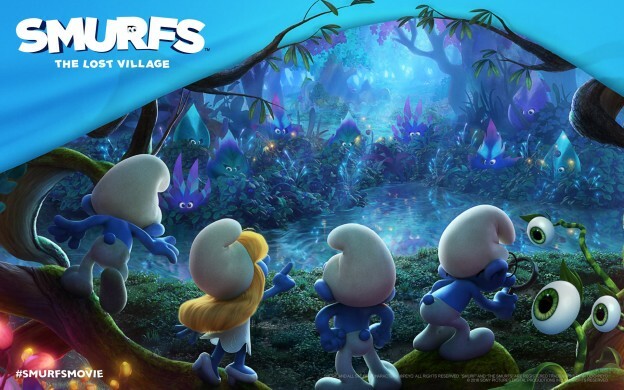 This is an exhilarating ride – travelling with the Smurfs for some of it is a pleasure and an awakening. This entry was posted in Uncategorized and tagged cultural change, feminism, semiotics on 29/07/2017 by admin. Louise is a writer, editor and semiotician with over fifteen years experience crafting words and ideas for commercial clients. She can give a vibrant language makeover to any kind of content or publication, with results that will delight you and your audiences. With a PhD-level academic background, Louise is also an ideal writer to bring on board if you want to take a deeper look at language and tone of voice.